UPDATED: Tue., May 8, 2018, 5:36 p.m.
MOUNTAIN VIEW, Calif. – Google put the spotlight on its artificial intelligence smarts at its annual developers conference Tuesday, announcing new consumer features aimed at simplifying your life. One of the biggest crowd-pleasers for the thousands of software developers who gathered at the outdoor conference was an augmented reality feature on Google Maps that helps people get walking directions. 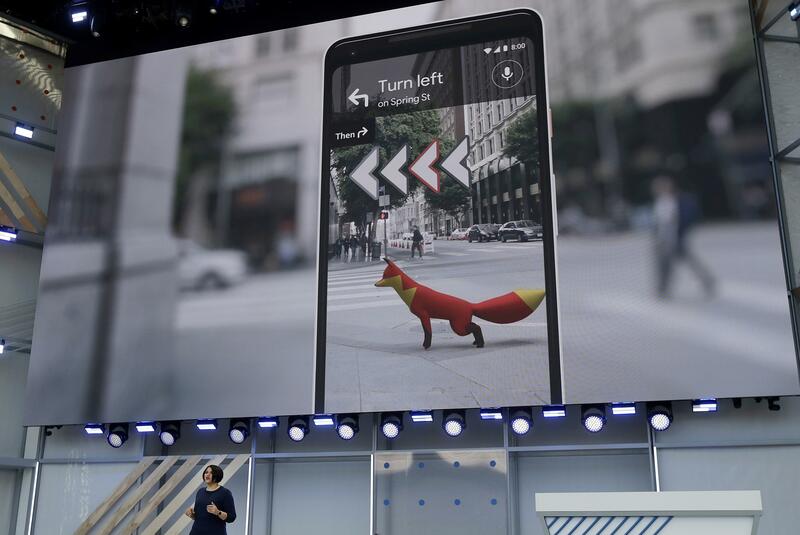 Users will be able to follow arrows – or possibly a cartoon-like creature – that appear on a camera view showing the actual street in front of them. The company’s digital concierge, known only as the Google Assistant, is getting new voices – including one based on that of musician John Legend – later this year. It will also encourage kids to be polite by thanking them when they say please, similar to a feature Amazon is bringing to its Alexa voice assistant. The search giant aims to make its assistant and other services so useful that people can’t live without them – or the search results that drive its advertising business. But it also wants to play up the social benefits of AI and how it’s being used to improve health care, preserve the environment and make scientific discoveries. Google’s latest version of its Android phone software, for now known as Android P, will offer other smart features. It will teach the battery to adapt to how you use apps in order to conserve energy. Phones using Android P will also learn how to set your screen brightness by studying your manual adjustments, a change from automatic adjustments based on ambient light levels. But not everyone will see the new Android features soon – if at all. Android P won’t be released until later this year, and even then, phone manufacturers and carriers frequently limit Android updates to their newest phones. Owners of Google’s own Pixel phones will get the updates most quickly. It wasn’t immediately clear which company made the call to withhold the features announced Tuesday. Published: May 8, 2018, 5:35 p.m. Updated: May 8, 2018, 5:36 p.m.